As a new addition to the team of creative minds who work to get the message out about how great the O’Brien Insurance Agency and its inimitable leader, John O’Brien, are, I had the pleasure of meeting John for the first time recently. I learned more about insurance in one brief meeting than I’d ever known previously. John explained what an independent insurance agency is and what the advantages of working with an independent agent are. He talked about nuances in different types of insurance coverage, and how people often choose policies based solely on cost which don’t provide adequate protection, and often end up costing them more money, when it comes time to file a claim. 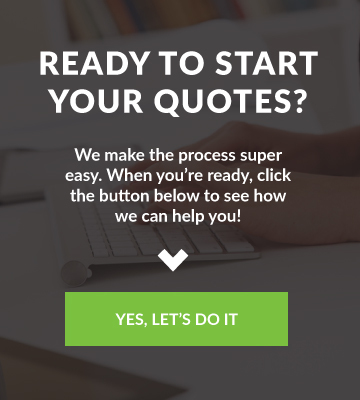 Since independent agencies can access quotes from a broad range of insurers, they can help their clients compare options. 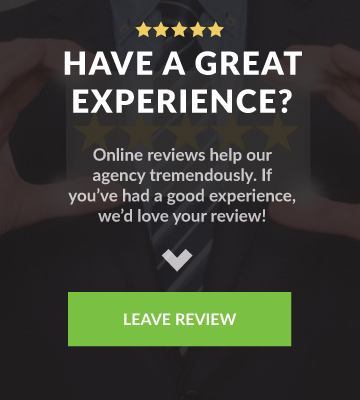 Unlike agents with many of the large direct insurance companies, they don’t have arbitrary time limits placed on their interactions with clients and can therefore take the time to talk through pros and cons of each available choice. 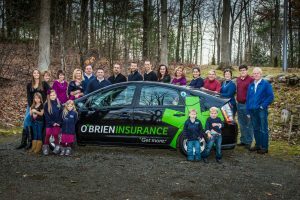 I decided pretty quickly that I’d be silly not to at least look into what it would it take to switch our homeowners and car insurance policies over to the O’Brien Insurance Agency. My only hesitation was around the time and effort on my part that it would take to complete the process. We’re working parents and small tasks that might seem like no big deal to someone whose every available second of free time isn’t commandeered by children can seem insurmountable to us. But, based on the potential benefits of making the switch that I’d learned from talking with John, I figured it was worth a try. I emailed John the day after that first meeting. He got back to me quickly and explained the first step was to get him copies of the policies we wanted to look at switching over. I’ll admit, at first that tiny task seemed like it would be a huge pain. I had a general idea where I’d put the giant packet of information about our homeowners insurance policy, but no idea where anything related to our car insurance policies were, beyond just the insurance cards in our glove compartments. Grabbing our homeowners insurance packet and dropping it off at O’Brien wasn’t at all cumbersome. Hannah, the O’Brien agent we worked with, was endlessly patient with me as I searched for our car insurance policies and eventually sent her an amalgam of bits and pieces in their stead. For anyone more organized than us, which is probably most people, that step would have taken 5 minutes to complete. As it was, I may have spent 25 minutes total finding what we needed and getting it to Hannah. Within less than a day of reviewing our current policies, Hannah sent over quotes for new policies. We looked over the quotes and asked a few clarifying questions, which Hannah answered promptly and thoroughly. We decided to make the switch. The policies Hannah found for us will save us over $500 annually, and they provide better coverage than what we had in place! Once we decided to move forward, we had even more questions about the logistics of switching insurance companies. 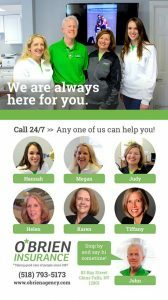 Do we let our current insurance companies know we’re switching? Our homeowners insurance is paid through our escrow account- how does switching work in that case? Hannah expertly fielded all of these inquiries and many more. She then completed the applications for the new policies and the requests to terminate the existing policies, and sent them to us for electronic signatures once they were good to go. packet, who responded quickly, clearly, and kindly to every email I sent. It’s incredibly reassuring to know that’s the same level of customer service we’ll now have access to in the event that we need to file any claims on our homeowners or car insurance policies. On top of that, we’re saving money and our family and property are better protected when the unexpected happens. I can say confidently that the end results of making the switch were well worth the minimal amount of time and effort we expended in the process. 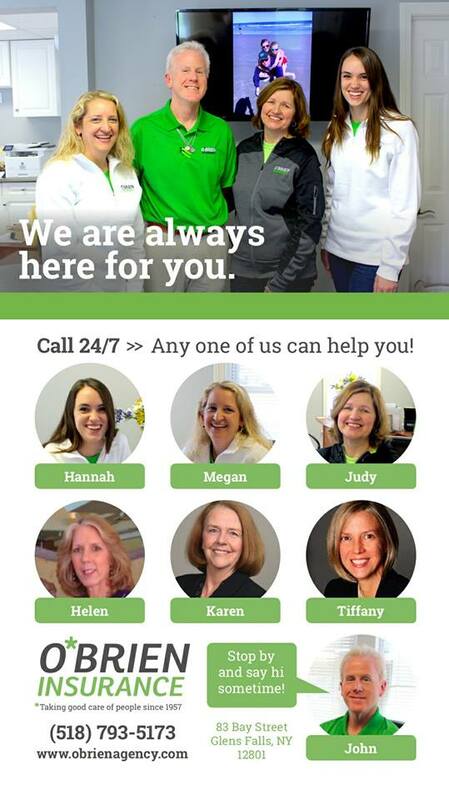 Contact O’Brien Insurance Agency today to see what they can do for you!